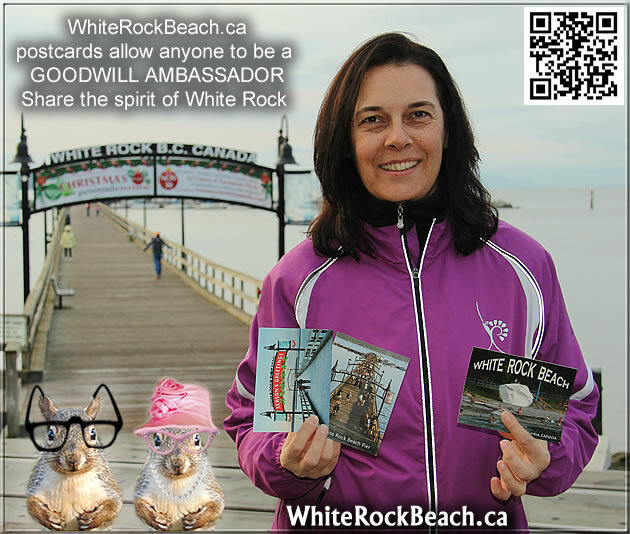 We are asking people to share the Spirit of White Rock Beach by sharing White Rock Beach postcards and /or greeting cards with family, friends, and business acquaintances. 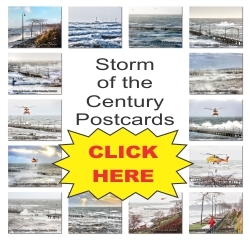 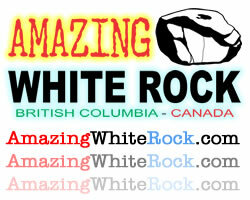 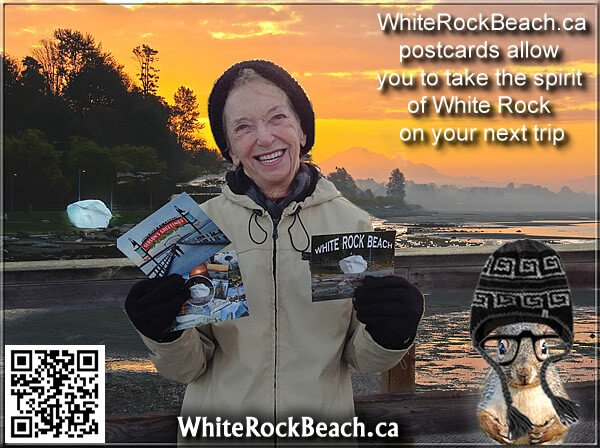 If you are going on a trip, why not help promote White Rock Beach by packing some White Rock Beach postcards. 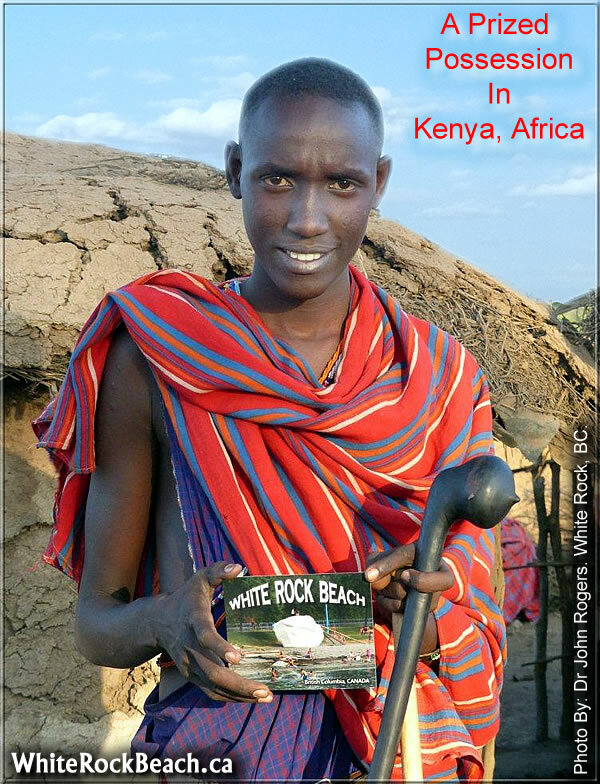 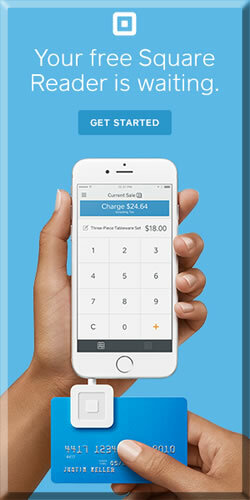 Naturally, not everyone can afford vacations to faraway places, but anyone can share them around the globe via Canada Post. 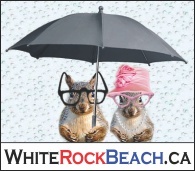 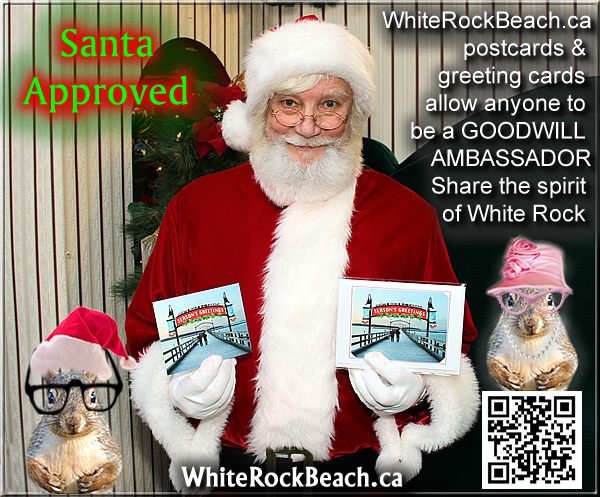 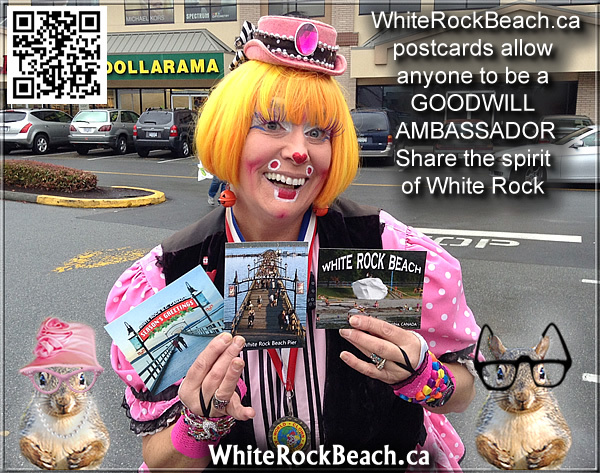 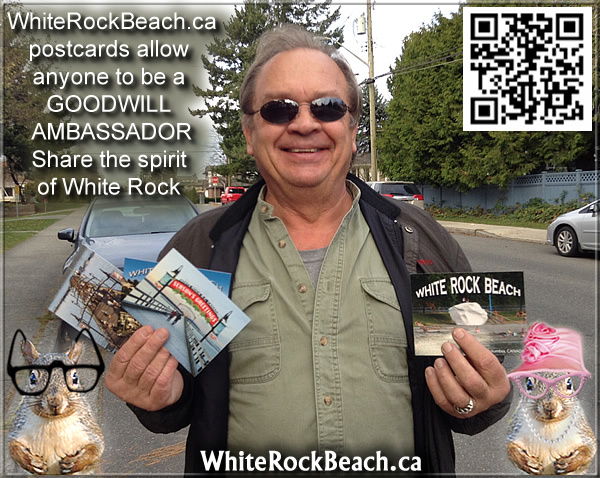 If you have some White Rock Beach postcards and /or greeting cards you are an White Rock Beach Goodwill Ambassador. 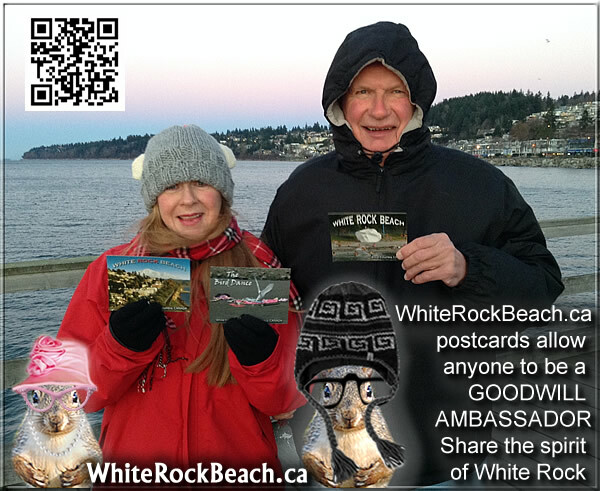 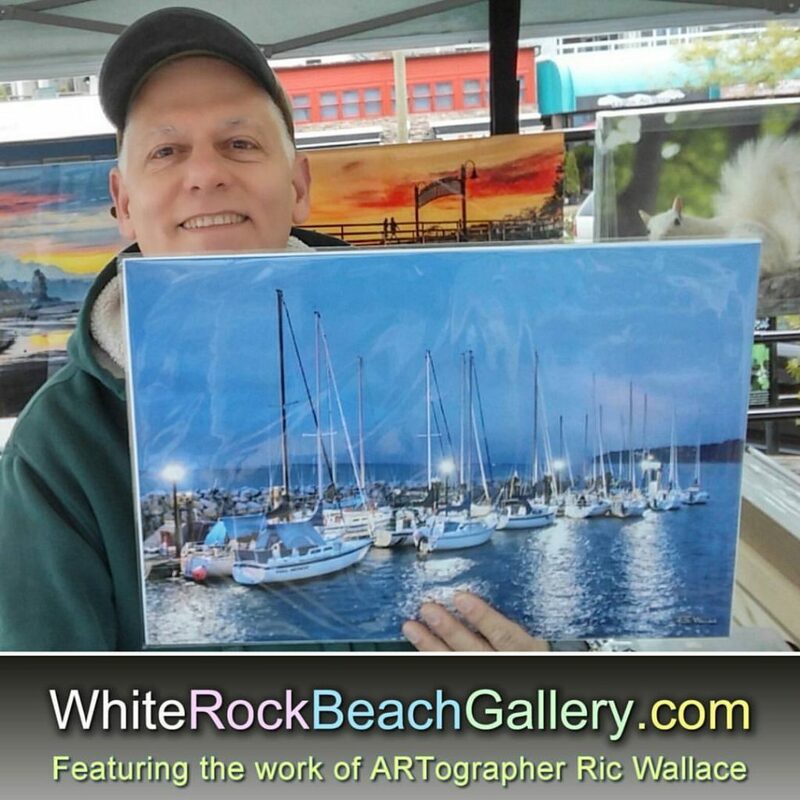 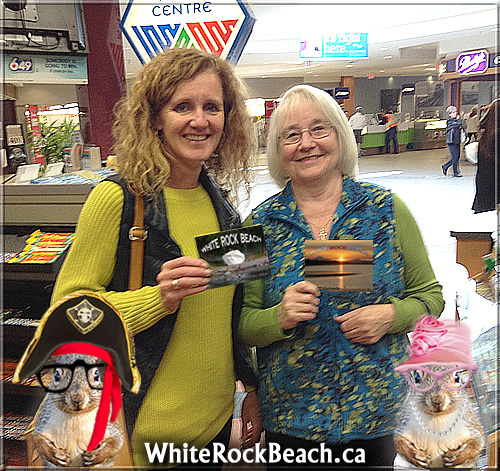 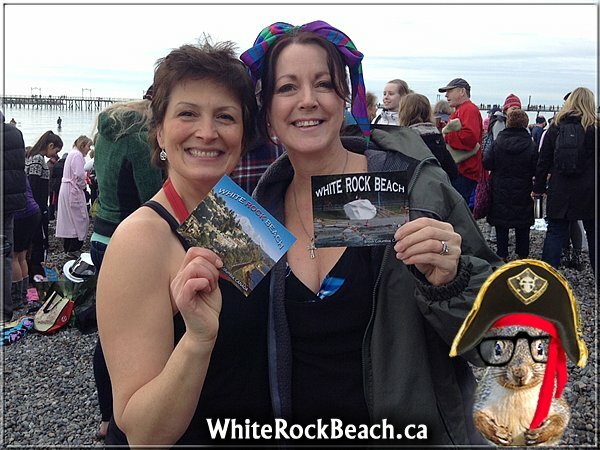 Send us a photo or let us take your photo holding our postcards or greeting cards and your are an Official White Rock Beach Ambassador.